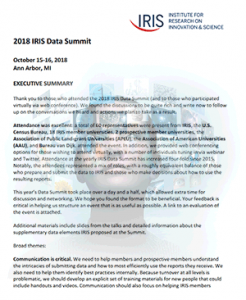 The 2018 IRIS Data Summit took place on October 15-16 at the Institute for Social Research in Ann Arbor. Attendance was strong with 60 individuals from 25 universities and organizations present, engaged in productive and rich discussion. 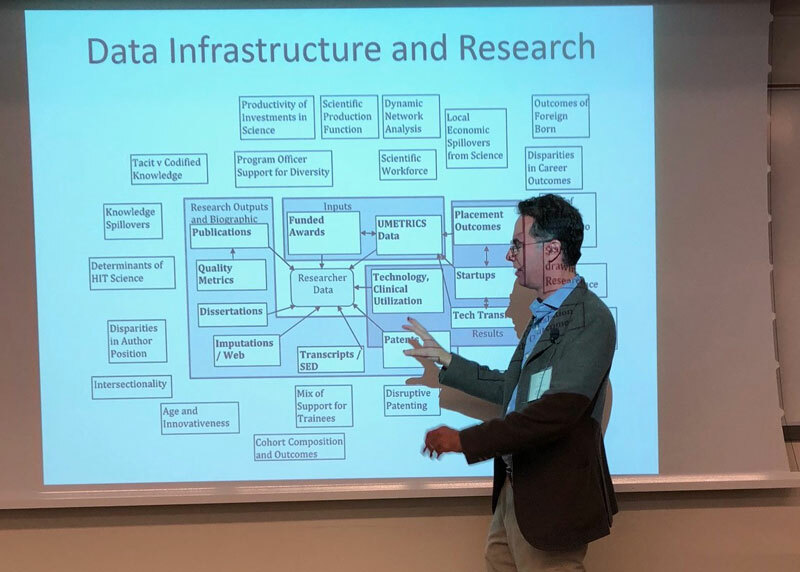 Featured speakers included Bruce Weinberg of The Ohio State University, who presented information on research with IRIS UMETRICS data and Julia Lane of New York University and the Office of Management and Budget, who discussed the federal government’s data strategy. 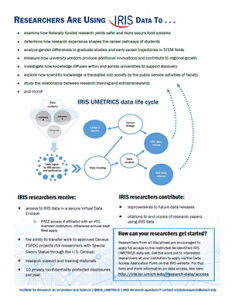 IRIS highlighted several exciting new projects and reports at the meeting, including an enhanced Vendor Profile Report using Orbis data, an update on the CTSA project, and a new project examining outcomes related to the XSEDE/high performance computing initiative. Action items from the meeting include the launch of a pilot test of new award ID fields to enhance reporting, the launch of a Policy and Outreach Committee, the development of training materials and use cases to facilitate the onboarding process for new members, and an expanded annual meeting format in coming years with tracks for data providers, data consumers, and researchers. Thanks to all who attended – your input is incredibly valuable to us. Click here to view an executive summary of this year’s Data Summit. The 2019 IRIS Summit is slated for the fourth week of September in Ann Arbor. We hope to see even more of you next year.